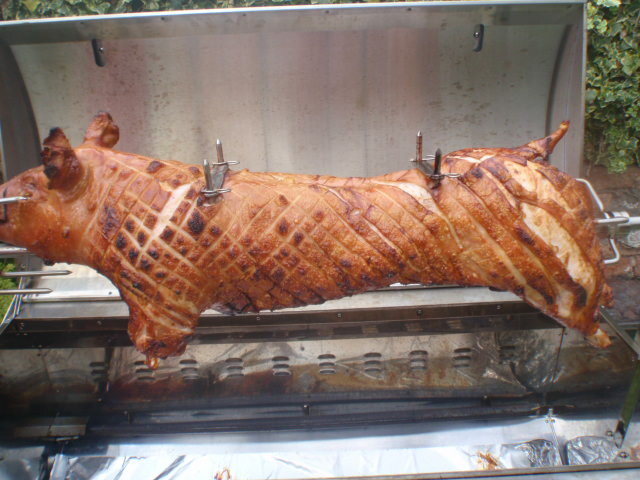 Who’s looking forward to our famous Hog Roast? This year’s festival sees the return of our famous Hog Roast. Come along and enjoy a mouthwatering hot roast pork sandwich filled to the brim with your favourite toppings. These succulent sandwiches are bound to satisfy even the most robust of appetites. Our roast pork sandwiches will be available from 3pm on Saturday afternoon. Make sure you get yours early as when they’re gone they’re gone! In addition to the sumptuous Hog Roast we’ll be serving hot dogs for children and for non-carnivores there will be a selection of vegetarian options on offer. This entry was posted in News and tagged Ale, Beer, Cider, Concert, Days Out, Events, Family, family ceilidh, Family Fun, Festival, Food, Hog Roast, Music, Music Festivals, Sheffield, South Yorkshire, Worrall, Worrall Festival 2013, Worrall Folk and Ale Festival by worrallfestival. Bookmark the permalink.